Anthology for Music in the Medieval West - Description | W. W. Norton & Company Ltd.
Anthology for Music in the Medieval West, part of the Western Music in Context series, is the ideal companion to Music in the Medieval West. 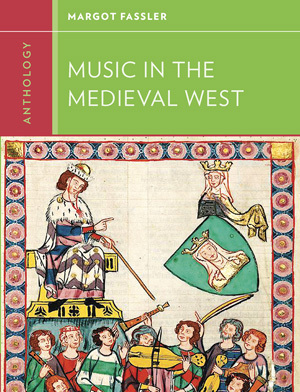 Forty-four carefully chosen works—including plainchant, the earliest experiments in polyphony, excerpts from Latin liturgical dramas and the elaborate polyphony of the fourteenth century—offer representative examples of the music of the period. Commentaries following each score present a careful analysis of the music and online links to purchase and download recordings make listening easier than ever.